Pottery will be on sale at the CAC on November 15. There are many sales of arts and crafts prior to the Holidays this month, but on Saturday, November 15, from 10:00 a.m. to 2:00 p.m. only ceramics and pottery will be on sale in Studio 1 of the Creative Arts Center. 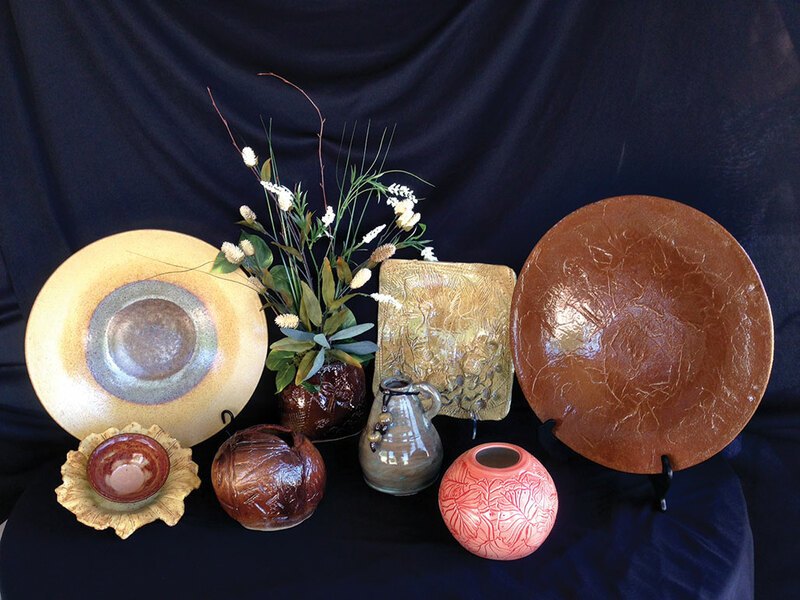 Selling pottery will not only be potters whose items you have seen and purchased previously, but also some of our newer potters will be joining us. Some of us feel if you can’t roll the mud, then throw it, which is why we will have both hand built and wheel thrown items plus some poured ceramic pieces. For a preview of some of our sale items, come “sneak a peek” at our showcase in the CAC. With the increase in the number of our Robson Ranch residents, our club has grown from the small group of 15 who started the club in January of 2010 to over 50. If you are new to Robson Ranch our club welcomes you to Robson Ranch and this sale. We have decorative and practical items for your home and for holiday gifts. So after the Alzheimer’s walk, come see what your artistic neighbors have been doing lately.